Click on the links below to explore units and everything else about Sioux Lodge Suites. 4 units to choose from. 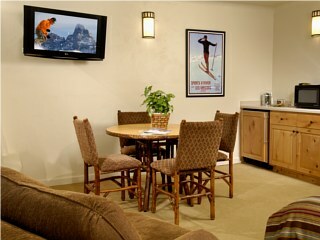 Our rentals in Sioux Lodge Suites accommodate up to 24 people in 4 units. 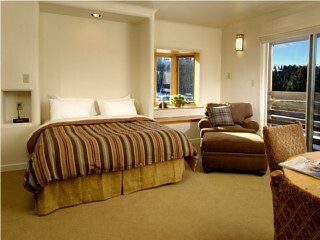 This All-Suite hotel offers a variety of larger room types tastefully decorated in contemporary western design. With a little more room to stretch out and relax, the Studio, Loft, and 2 bedroom suites each feature a full bath with tub, private balcony, flat-screen TV, mini-refrigerator, microwave oven, coffee maker, and complimentary wireless internet access. Just steps away from the relaxing Spa, heated outdoor pool and hot tub, you will find that sleep comes easy. 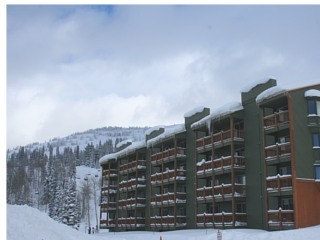 General Location: Grand Targhee Ski & Summer Resort, 12 miles from Driggs. Specific Locations for Sioux Lodge Suites Map?